Running around from office to home, managing an ailing mother, a house under renovation and the rush of year-end in the office was driving Ramona out of wits. When things were a little settled she just decided to give herself the much needed respite by planning to visit an Indian hill station. Ooty: There was a time when the Britishers established this hill station in the early 19th century as the summer headquarters of the Chennai government. It has now evolved into a soothing and serene destination that can help to escape the summer heat of Tamil Nadu. 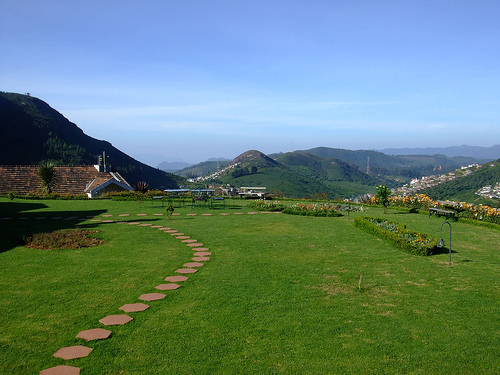 Ooty Hill Station most popular attractions are the Botanical Gardens, boating in the Ooty Lake, and trekking to reach Dodabetta Peak for an excellent view of the Nilgiri hills. 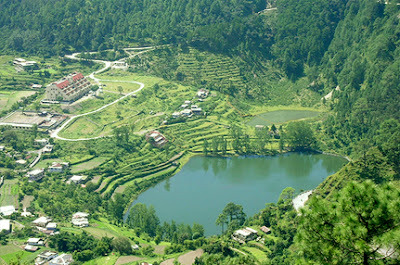 Nainital: This lovely destination is part of the Kumaon region of Uttarakhand state and was once upon a time a popular summer retreat of the British. 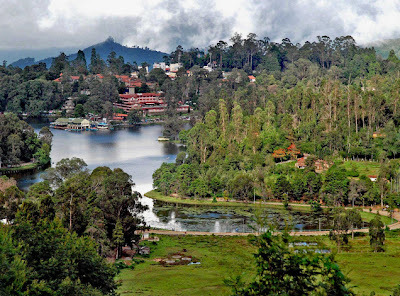 It still harbours the serene and emerald colored Naini Lake that is surrounded by the action filled Mall lined with restaurants, shops, hotels, and market. Kodaikanal: Nestled 120 kilometers from Madurai in the Palani Hills of Tamil Nadu, Kodaikanal means "Gift of the Forest". True to the meaning, the destination is full of many varieties of flora and fauna. The city also boasts of an annual horticultural show at the landscaped botanical Bryant Park in May where people enjoy the waterfalls, boating in the lake, along with simply walking on the nature trails. Herbs and aromatherapy oils are also some of the most interesting things to buy in the hill station of which eucalyptus oil is the most popular. 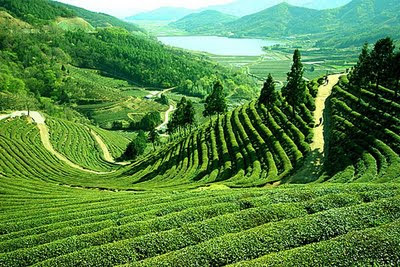 Darjeeling: This famous hill station in West Bengal is full of lush tea gardens and is also blessed by the stunning view of Mount Kanchenjunga, the world's third highest peak. 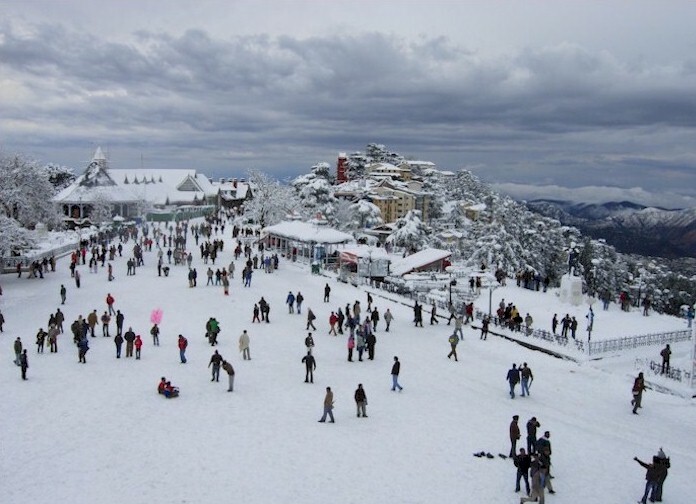 Some other popular attractions include the monasteries, botanical gardens, a zoo, and the longest cable car in Asia- Darjeeling-Rangeet Valley Passenger Ropeway cable car. Darjeeling Hill Station also a wonderful place to walk around, and explore the tea estates and greenery around. 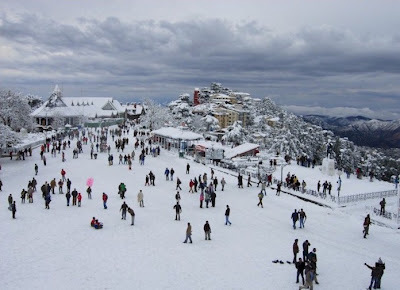 Shimla: The summer capital of erstwhile British Raj is now the state capital of Himachal Pradesh. Well-known for its wonderfully cool and charming town that sprawls along a mountain ridge and is almost enveloped in oak, pine and rhododendron forests. Famous for colonial style buildings and historic railways the place is always seem to be welcoming tourists with its old Christ Church having beautiful stained glass windows,the mesmerizing scenery from Scandal Point, and the Viceregal Lodge on the Observatory Hill.